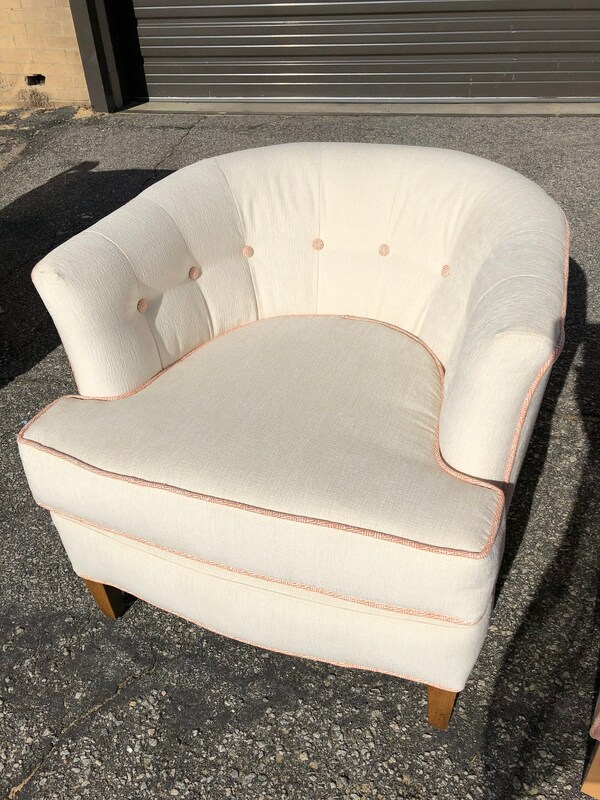 White tufted barrel back chair. 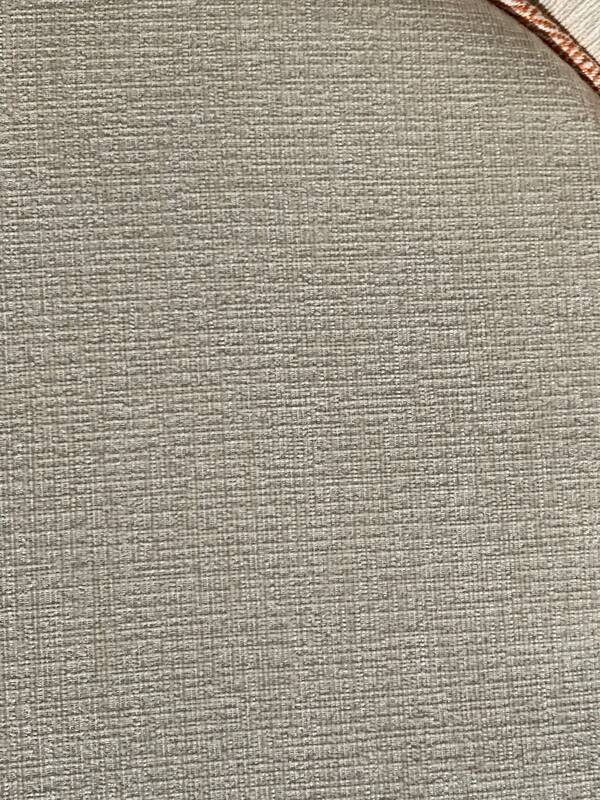 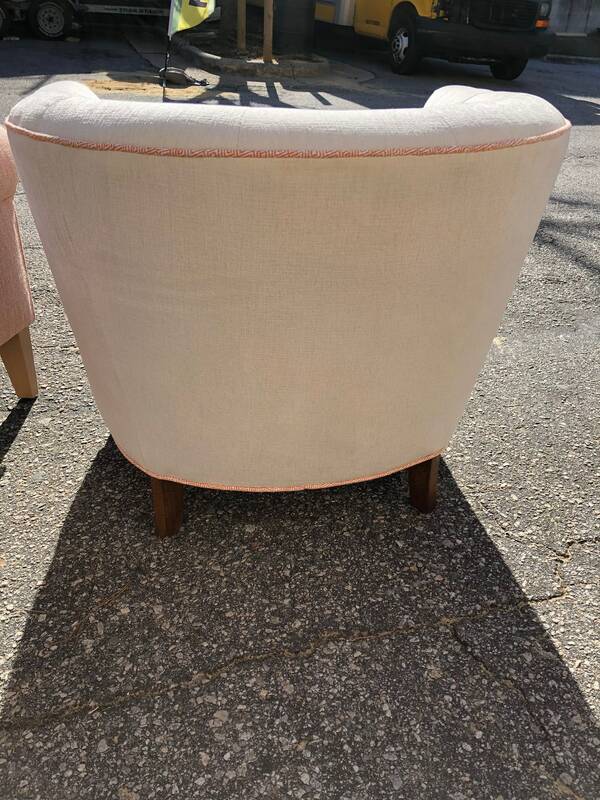 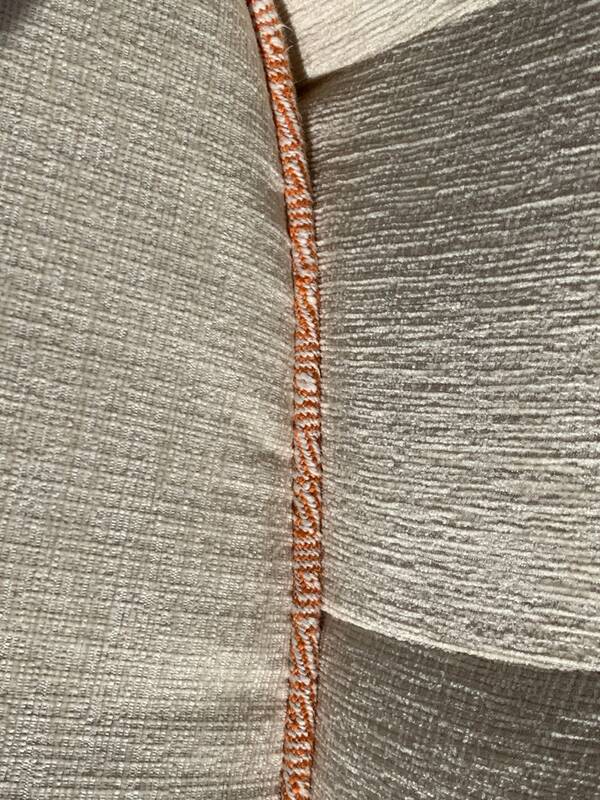 Both the tufting and the cording are an orange geometric pattern. 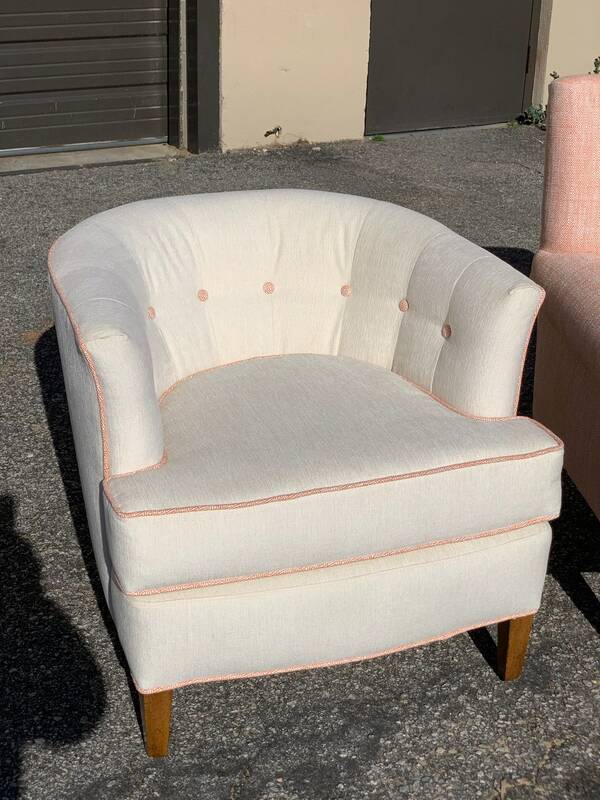 It adds just a little color to an otherwise flat white chair. 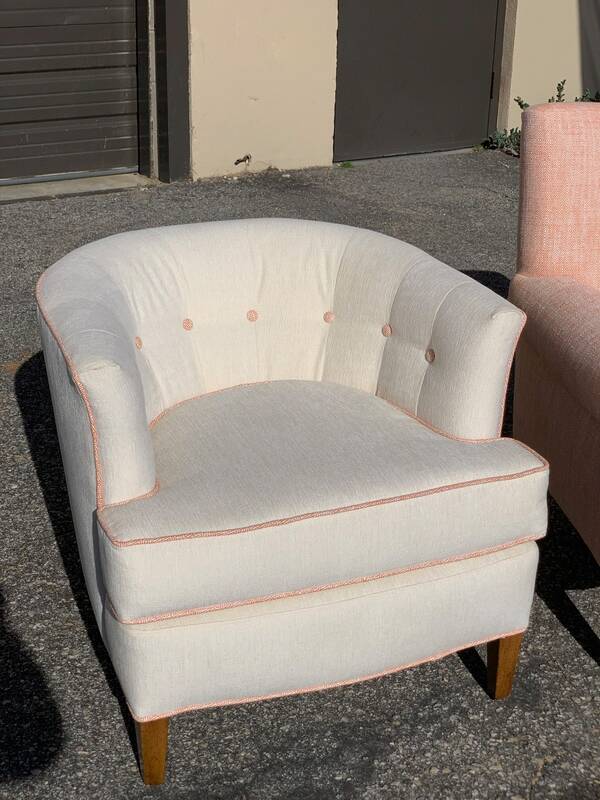 This chair is perfect pop of color in any decor.